Waxing rhapsodic about kingpin problems, ATL heavy hitter Young Scooter has the ear of the streets. In “Drug Deals,” his new video, Scooter focuses on the give-and-take of the drug trade–how drug use can devastate a community and how drug dealing can often provide opportunity for people to overcome their surroundings. The video focuses on the inner-workings of a drug dealing operation and how it affects everyone in Scooter’s neighborhood, from the young corner boys, to the women bagging the drugs, to the aging dope fiends whose lives were ruined by the drugs Scooter sold. Premiered by XXL, “Drug Deals” is the second video from Trippple Cross, Scooter’s latest studio album, following “Plug Lingo,” an entertaining clip that finds Scooter embracing a role as a Chemistry Professor, so to speak. 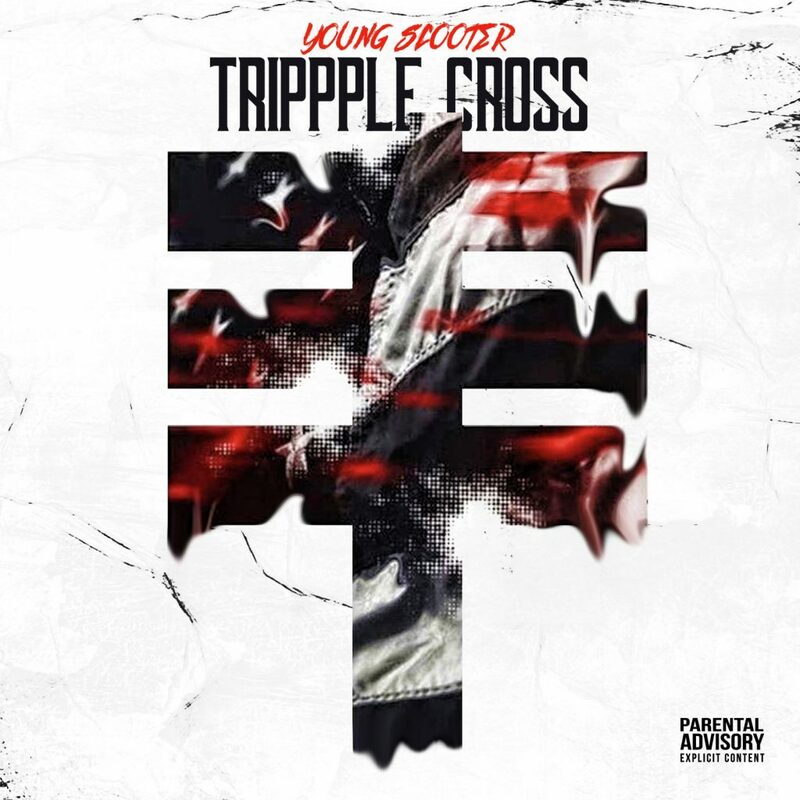 With multiple guest appearances from ATL innovators Young Thug and Future, whose hyper-melodic flights of fancy mesh perfectly with Scooter’s earth-shaking baritone, Trippple Cross is packed with braggadocios boasts, slick punchlines, and heartfelt accounts of Scooter’s legal tribulations. Though the record’s subject matter can grow heavy, Scooter never loses his cool, creating hooks with a wry grin and rhythmic invention. 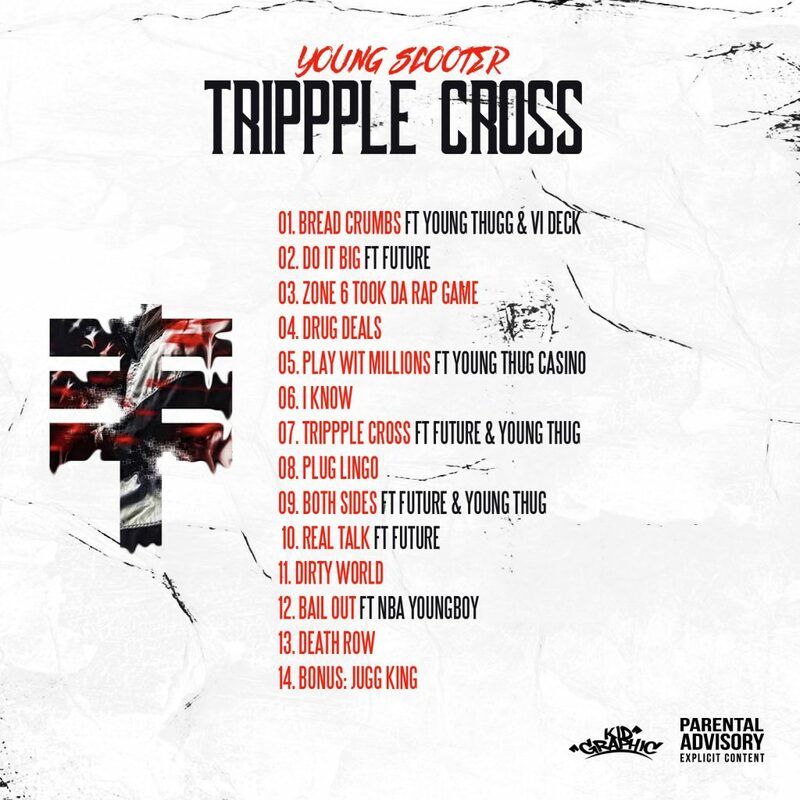 Featuring appearances from Young Thug, Future, Youngboy Never Broke Again, Casino, and VL Deck, the EMPIRE-distributed Trippple Cross shows the skills that earned Scooter the respect of the biggest rappers in the game and demonstrates that he deserves to be mentioned among the best in his city. Please contact Michelle or Dharmic if interested in talking with Young Scooter. EMPIRE was founded in 2010 as an artist-friendly, progressive digital distribution company. After early success, and identifying future icons such as Kendrick Lamar, Sage The Gemini, and Rich Homie Quan, EMPIRE was quickly regarded as a tastemaker in the industry and throughout the past five years evolved into a full-fledged record label, distributor and publisher for independent musicians. With the company and roster growing at a breakneck pace, EMPIRE has effectively disrupted a stale business model by bringing its energy, expertise, and acumen to its artists and labels. Given its reputation, EMPIRE works with today’s hottest talent from superstars such as T.I. and red-hot newcomers such as Anderson .Paak. While remaining 100% independent, EMPIRE has also partnered with Atlantic Records for a joint venture, home to breakout star D.R.A.M.and joined forces with Republic Records for the release of Sage The Gemini’s Remember Me album.